Attention, bargain hunters and savvy sellers of North Carolina! We’re thrilled to announce that VarageSale has launched new communities across the state as of October 13th, 2015. 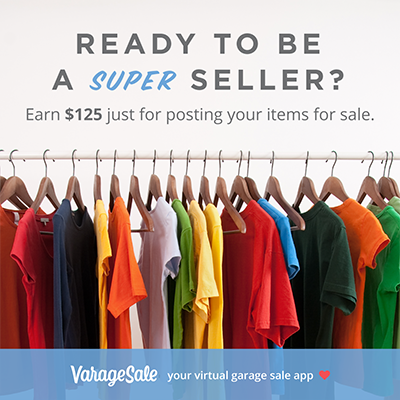 Best described as a “virtual garage sale,” VarageSale is a free website and mobile app that is full of amazing local deals and ways to make extra cash decluttering your home. Connecting members with people they can trust makes buying and selling that much more enjoyable. Now that we’re here, we’d like to encourage you to get in on the fun! To celebrate, we’ve put together a bunch of special offers that will be available to new users for a short time only! Need a little encouragement to get started? When you make a sale on VarageSale, you’ll be converting your unused stuff into cash… But that’s not all. Right now, new users who join one of VarageSale’s new North Carolina communities (listed below) will get $5 for each of the first 25 items they post for sale. That’s a potential $125 up for grabs! But don’t wait around, this limited time offer ends on November 11, 2015. Are you an expert in handmade arts? Looking to share your crafts with your community? 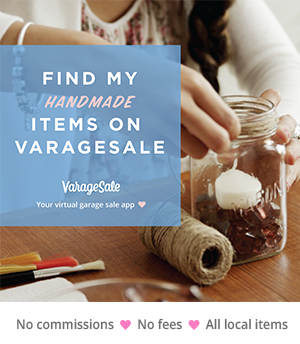 VarageSale makes it easy for crafters to sell their work. And now you can earn a bonus when you set up a storefront with us. All you need to do is join one of our new North Carolina communities, then post 10 or more of your crafts in our “Handmade Items” category. You’ll receive $50 just for posting. Simple, huh? Please note that this limited time offer ends on November 11, 2015. Visit this page to get your $50. Plus—you could win a free family trip to Florida! A free app, amazing local deals and the chance to earn extra spending money. What could be better? 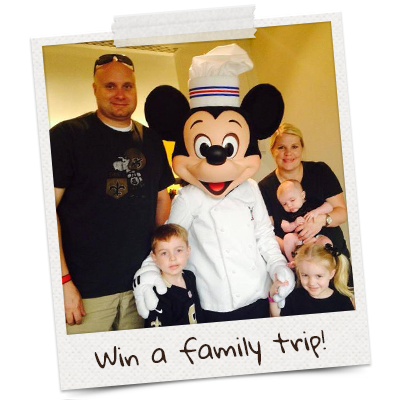 A free trip for the whole family to the most magical place in Orlando, Florida! To enter, all you need to do is join any of VarageSale’s communities in North Carolina and post an item for sale. Each time you post a new item for sale, you’ll be entered to win again—the more you post, the better your chances! But hurry, the contest ends December 10, 2015. Ready to win? Start posting!